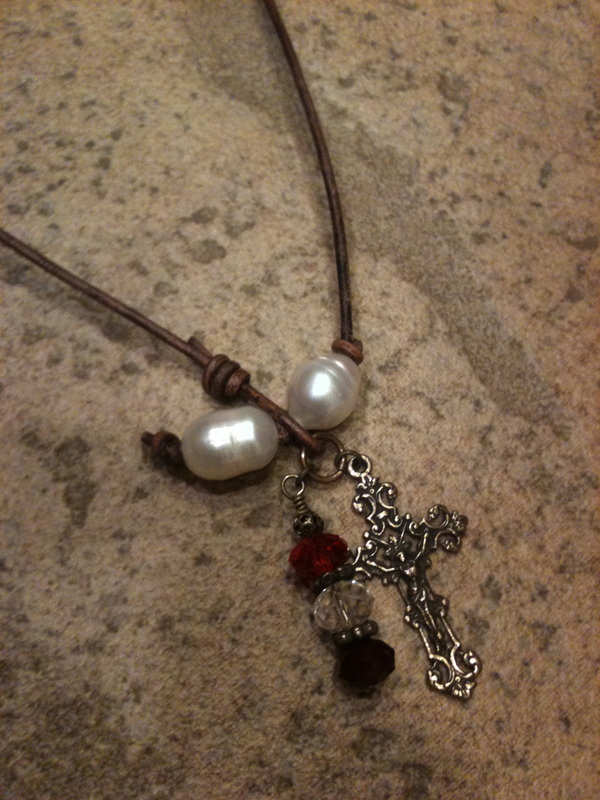 Description Two freshwater pearls on distressed leather with bronze crucifix and birthstones in months of your choice. All birthstones available. Price includes one birthstones, but additional stones made be added @ $4/stone.